Full day – approx. times: Bus 2h + Walk 3h + Cable Car 16min + Stops 1h. Picnic included (but take your water). People with heart problems, pregnant women, and children under 2 cannot ascend by cable car due to the risk that high altitude poses to their health. Highest point of Atlantic Ocean and the highest peak of Spain (Mt.Teide, 3718 m) is for you now! 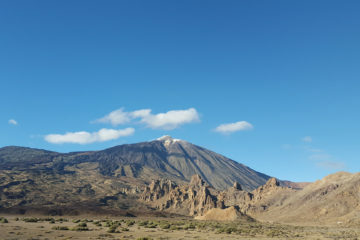 Booking this tour you will get the access permit to the top of the Mount Teide peak (3718m). 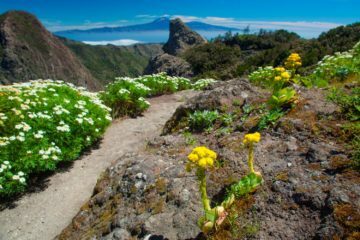 The tour starts with pick-up from your hotel in the Southern part of the island and then we go up to the hart of Tenerife – to the lower cable car station of volcano Teide. Tour price doesn’t include cable car tickets which cost 27 Eur per adult and half price per child up to 13 years old. After arriving we take the cable car up to 3550m – to the upper cable car station. 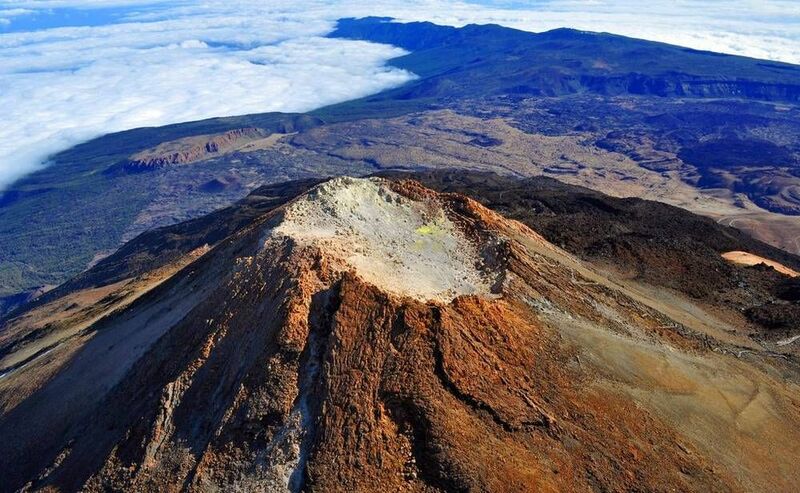 Because you will have the special permit from the National Park Administration, especially organized by us for our group, we are allowed to access the top and crater of the volcano. 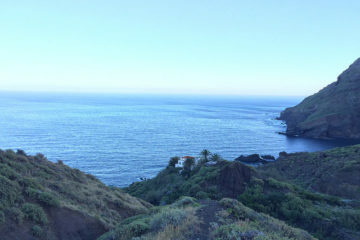 The last 170 high meters are well prepared and no other place in Tenerife offers these panoramic views of the entire island and of the neighbouring islands. The wide and deep views are overwhelming. After relax on the summit we descend to the cable car station where we take the cable car back down. Before we start our 2 hours hike around the Roques de Garcia we will have our lunch break with a fantastic view over the prehistoric crater. 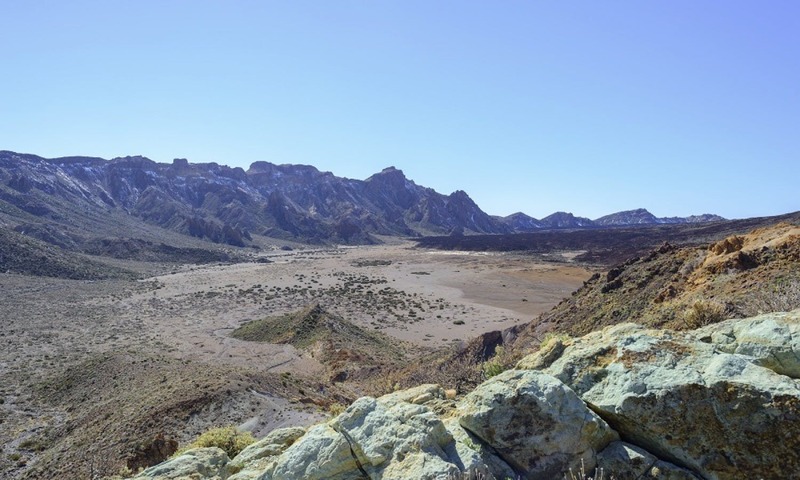 During the walk in the National Park you will get to know the development of Tenerife and the different kinds of lava. At the end of the walk there is plenty of time to take some nice and scenic Teide pictures. IMPORTANT: For security reasons the cable car will operate depending on the meteorological conditions. In the case of strong wind the cable car will be closed and we wouldn’t have the option to use it. Usually it can happen winter time and almost never during the summer.